It’s a brand new year! Meet a brand new McGoober! Happy New Year! I love the beginning of a new year because it gives me a chance to reflect on the past and gear up for the future. I like to choose a Word of the Year. This year my word is “outside”. I hope to spend 2017 doing more things “outside”: outside my comfort zone, outside my house, outside of myself. I hope you’ve chosen some great things to accomplish this year. Speaking of newness, this month I want you to meet my friend Colleen Cole. She is a BRAND new McGoober! I met Colleen last October when I went to North Carolina. She was kind enough to host my east coast cookie retreat in her home. She is fun, funny, and talented, but had never tried her hand at cookie decorating until the weekend I met her. I know her cookie journey is going to be epic because she is already an excellent artist. 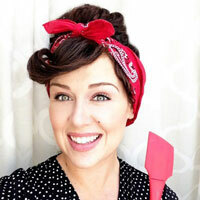 So…in her own words…Colleen’s entry into the cookie community! My name is Colleen and I am new to this whole cookie decorating world (as of 4 months ago I didn’t know it even existed). I am a painter (acrylics on canvas) and a former grade school art teacher, which you would think would give me a “leg-up” when it comes to decorating cookies…. sadly, that is not the case. My first experience decorating cookies was at a girls weekend at the beach last October. We forced our good friend Kim Holmes to give us a class. She did a GREAT job showing us how to make tombstone cookies… we (the beach girls) did a great job at laughing at our attempts to reproduce the sample cookies. A few days later Liz taught a class in my home for her East Coast McGoobers. Once again my teacher was AMAZING (come on… it was Liz herself how could she NOT be amazing live and in person). I would like to say my second attempt was….. “perfection”…”stunning”…”two thumbs up”…”atta-girl”! Yep, I would like to say that. Sadly I have to admit my cookies were…. “acceptable for a newbie” (a solid B-… maybe C+). Since that class I’ve made the Thanksgiving Turkey cookies (kind of the Dim-witted version of Liz’s), wet on wet heart cookies, whale tails, and chili pepper cookies. Each time I get more comfortable with my skills. Believe me…painting on canvas is A LOT different than painting with food coloring on royal icing! I love that this is a different venue for expressing art – Who knew!?! My guess is that I will get better and better with every attempt (or at least that’s what I’m telling myself). It was so fun getting to know Liz and finding out about this cookie world. I’m Colleen. I’m a new McGoober. And this is going to be a fun adventure! Previous PostYour attention Please….We have a visitor! Next PostGuest Post: The Cookie Cowgirl is serving up drinks….I mean cookies! Great Story!! Hoping some day I get to attend a Retreat too!! Loved loved meeting you Colleen and welcome to the Mcgoo Family! We definitely need another East Coast cookie day with Liz and Kim! !